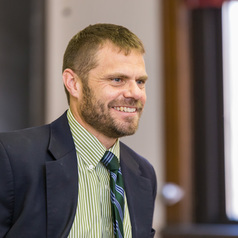 Jason King is Professor of Theology at St. Vincent College in Latrobe, PA. He is editor of the Journal of Moral Theology and writes for the blog Catholic Moral Theology. He has published in American Benedictine Review, Religious Education, New Blackfriars, Josephinum Journal of Theology, Journal of Ecumenical Studies, and Horizons. His Faith with Benefits: Hookup Culture on Catholic Campuses was just published by Oxford, and it investigates the effects of Catholic identity on hookup culture.